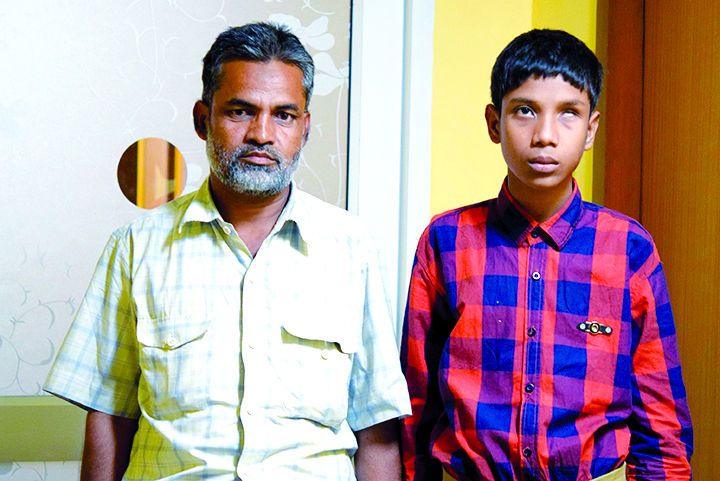 Masoom Ahmed was just 3 when his parents noticed that his left eye was relatively small compared to the other eye. The local doctor in Basti, Uttar Pradesh referred him to specialists in Delhi. It was a case of Retinal Detachment (RD). Unfortunately, the surgery was not a success and Masoom lost the vision in his left eye. Eventually, he began experiencing diminishing vision in his right eye as well and soon lost all vision. In September 2012 they consulted at LVPEI and a vitrectomy surgery for RD was advised. “Based on our past experience, I was very skeptical but Ruksana ji and Arundhati ji (patient care counselors) put all my fears to rest. 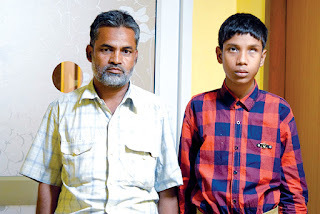 After meeting Dr Raja Narayanan, I was convinced that my son is now in safe hands,” recalls his father, Musheer Ahmed. The surgery of the right eye was a success and 50% of his vision was restored. Masoom is 13 today, and studies in 9th Grade with the help of assistive devices such as the magnifier and telescope - prescribed by the Vision Rehabilitation team at LVPEI. He is doing well in his academics and aspires to become a professor. 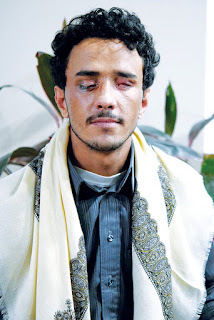 Mohammed Ali, 22, a poor farmer from Oman sustained severe burn injuries in both his eyes at a construction site where explosives were being used. The left eye suffered complete vision loss. He applied honey on his wounds for some relief from the severe burning sensation. But to his dismay, gradually the vision in his right eye too started diminishing. His acquaintances suggested LVPEI for better and affordable treatment, and he also had a cousin in Hyderabad. His left eye was beyond treatment but there was some hope for his right eye. Twelve days after his visit to LVPEI on 1 July 2016, Boston Keratoprosthesis with Ahmed glaucoma valve was performed owing to which he now has functional vision and plans to resume farming once he is back home. To improve the cosmetic appeal of his face, a prosthetic eye has been prepared for his left eye. “Dr Bhupesh Bagga, Dr Sirisha Senthil and the treating nurses went out of their way to make us feel comfortable. Despite the language barrier, the doctors took extra efforts to explain the treatment and the post operative care,” says his cousin, Saleh Hamed.